Have you heard of GDI’s Duplication Bonus? The Duplication Bonus is one of GDI’s four current bonuses. It’s different from the Team Bonus and Weekly Superstar Bonus in that it rewards you for the quality of your sign ups, not just quantity. How does that work? 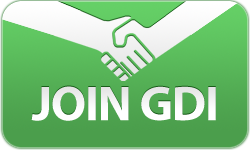 GDI rewards you with $250 every time you 10 of your sign ups complete the Learning Bonus. These signups aren’t just a number, they are new educated, informed GDI affiliates. Because of this, the Duplication Bonus pays out in different ways. First of course is the $250, but second is your informed downline that is now more likely to have their own signups and understand GDI in way that will help them stay with the business. Whether you have earned your GDI Learning Bonus or were with GDI before the Learning Bonus was available, all GDI affiliates can benefit from the GDI Duplication Bonus. The goal of this bonus is to help the new customers you personally refer to learn, use, and benefit from GDI’s products and services. Every directly referred new customer under you that gets paid their GDI Learning Bonus will count towards 1 check mark for your GDI Duplication Bonus. 10 check marks will earn you $250! The best part is that this bonus is UNLIMITED, you can earn $250 for every 10 directly referred signups who earn their GDI Learning Bonus.